Creating a well-balanced life starts with brain development. This begins at an early age with brain power activities for your baby. Your baby will love these activities that include music, drama, pretend, sensory play, curiosity, literacy, art, language, and movement. The best part about all these activities is that you can enjoy all of them along with your baby. Infant development is crucial in the first six to eight months of your baby’s life as the occipital lobe is quickly developing. The brain of your child continues to grow rapidly, on into early childhood. This growth makes it a prime time to begin the brain power activities. Music is a wonderful experience to share with your baby. It is also very beneficial for the relationship between you two and the brain development of your child. For example, lullabies are first used to teach compression and memorization. While your baby watches you sing melodies to them, they study your changing facial expressions. From there, they begin to pick on body language and reciprocation. Studies by FPG Child Development Institute at the University of North Carolina showed that music is one of the top ways to promote the language. Your child can develop a better phonological awareness with stronger musical skills. Children who partake in music activities have shown to have a more extensive vocabulary. Music can even help your child’s communication skills. When your baby begins to interact with drama and pretending activities they are nurturing their imagination. Drama and pretending helps to promote social, emotional, language, and thinking skills because your child is taking their first steps into “being” someone else. You may not realize that your baby is pretending, but when they begin to mimic what they see others doing that is just some of their imagination showing. You may notice that your child likes making animal noises, babbling to toys, or acting as if they are on the phone. These are actions of pretending. Activities that involve all the senses are fun for everyone because there is so much involved. As a result, sensory play is another great way to promote brain development. It encourages scientific processing by solving problems with the five senses of seeing, hearing, smelling, touching, and tasting. By stimulating these senses with simple playtime, you are promoting creative, social, emotional, cognitive, linguistic, and physical skills. The different activities help brain deployment by engaging neural pathways to be created. Doing this early on in your child’s life will support the infant development along with the learning of your child in the future. Likewise, art activities work very similar to sensory play and work together. For instance, art helps engage your child’s senses as well as the cognitive, social, emotional, and sensory motor skills. 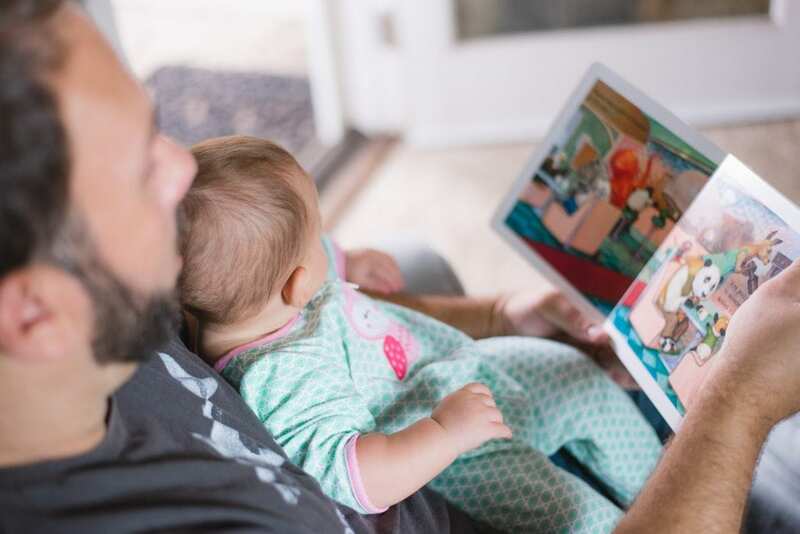 Reading to your child starting from the womb is a way to connect with your growing baby before they are born. Once your child is here, it is a calming activity to share with your baby. Many recommend this because it can help with your child’s brain development. Reading literature works very similar to singing to your baby. They watch your facial expressions and here the different tones you use and learn from that. It can also help with building a bigger vocabulary. Language activities are times where you are encouraging vocabulary building. Reading a story can be one of the many language activities, but so is signing, talking, and some pretend. Your baby’s whole role in life is to play and learn right now. One of the many of the ways your baby will learn is by playing, like promoting your child’s movement in activities such as tummy time. It helps get the baby going by promoting the usage of neck muscles. Depending on the age of the baby there are different kinds of activities. Another example would be arranging your baby’s favorite toys to encourage them to try to move to get it. All these activities will help build strength and self-esteem by accomplishing these milestones. Your baby’s brain is developing quickly in the next few years. It is a prime time to get a few extra fun activities to really ensure the optimal infant development of your child’s brain. Unfortunately, in today’s world, a stay-at-home parent is not always possible, but your baby can still get these powerful and fun activities in every day with the right schools. Legacy Academy begins accepting children at six weeks and believes in using brain power activities to get the best out of each of your child’s days. If you are interested in enrolling or for more information, call 770-932-0091 or go to the website legacyacademy.com.